Twitter’s international traffic continues to flatten as the microblogging site’s number of unique visitors flattened in November. 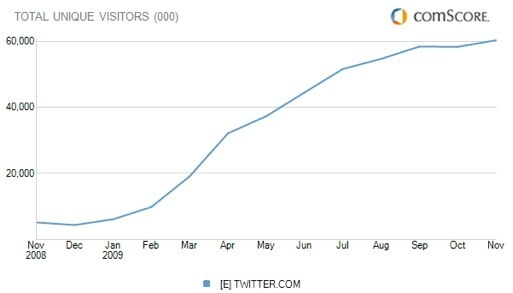 Twitter saw 60.3 million unique visitors in November compared to 58.3 million unique visitors in October. Though the site saw a rise of 2 million visits globally, this slight uptick in visitors only represents a 3.5 percent increase in traffic. Twitter’s November U.S. traffic has stalled as well; U.S. traffic rose by a little over 100,000 visitors, to 19.37 million unique visitors after seeing a 8 percent decline in traffic in October. Over the past few months, Twitter has rolled out versions in Spanish, German, French and Italian which could help boost the international use of its site. But as traffic stalls on Twitter’s homepage, third party Twitter clients like Seesmic and Tweetdeck are growing like gangbusters. CEO Evan Williams acknowledged Twitter’s stall in growth but said that new features of the site could jumpstart growth in traffic, including the Retweet button, Lists, and Geolocation features. Of course, many of these features have been added to the third-party Twitter clients, which easily account for half of all Twitter usage.